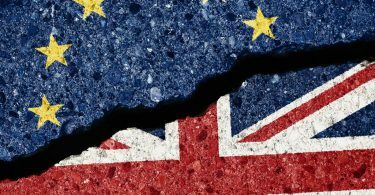 Since the referendum of 2016, much of the Brexit debate has revolved around the idea of an “independent trade policy” (that is, the ability of the UK to make international trade agreements with countries other than the member states of the European Union). It is true that as an EU member state, the UK cannot make such agreements. But there is one country that manages its trade successfully without any such agreements. How do they do it? Many participants in this debate assume that without trade agreements, a country loses much of its ability to trade. The corollary of this assumption, as conveyed by the media, is that after Brexit (or at least after a “no-deal” Brexit), products of the European Union would be in limited supply, or possibly completely unavailable, in the United Kingdom. There would be shortages of Italian mozzarella, Spanish tomatoes, Greek olives in British supermarkets. No deal, no trade, no pizza. Mars bars (made with irreplaceable European ingredients) would vanish within weeks, we are breathlessly informed by the Express, the Independent, the Mail, the Mirror the Sun, and others. One supposes that the same would be true of British products in the EU. Ergo, no Marmite in Marseilles or Milano. Even the National Institute of Economic and Social Research (which claims not to be a participant in the Brexit debate) takes as its central assumption that after a Brexit on the terms currently proposed by the UK Government and agreed by the European Commission, the value of trade between the UK and the EU would fall by 40 percent. Let us assemble some relevant statistics. As of November 2018, the UK has unrestricted trade in goods and services with the other 27 EU member states. In addition, the UK is a participant in the EU’s trade agreements with 79 non-EU states, of which 35 are in force, 42 are provisionally applied, and two are signed and awaiting application. As measured by the UK’s trade volume, the most important partner countries in these trade agreements include Japan and Singapore (signed), Canada (provisionally applied) and Switzerland, Norway, Turkey, South Korea and South Africa (in force). In 2017, according to the IMF Direction of Trade Statistics, the value of the UK’s external trade in goods, including exports valued f.o.b. and imports valued c.i.f., was $1,064 billion. Of this total, trade with the EU was worth $541 billion; and trade with the EU’s partners in trade agreements was worth $192 billion. Thus, at present 69 percent of the UK’s trade in goods is linked to the UK’s membership of the EU. After a “no-deal” Brexit, 100 percent of the UK’s external trade would be with countries or territories with which the UK has no trade agreement. More than 99 percent of this trade would be subject only to the rules of the World Trade Organization. Given the volume of economic activity that is at stake (both for the UK and for its trade partners), there may be merit in examining the concept of trading without deals. The model that I have in mind is the Emirate of Dubai, where I lived and worked for 27 years: of which 8 years were with a Dubai-based trading conglomerate, and 19 years were as a businessman providing economic, demographic and market research to local and multinational companies, banks and government agencies. The Emirate of Dubai is not a sovereign state (it is a constituent of the United Arab Emirates), but in economic terms, it acts in most respects as a sovereign state. The decisions of the Ruler of Dubai are never challenged by the government of the UAE. In trading terms, Dubai is nominally subject to the trade policies of the UAE, as determined by the Federal Customs Authority. However Dubai has an independent Customs department which is part of the Government of Dubai and reports to the Ruler. The UAE became independent in 1961, and since 1981, has been a member of the Arabian Gulf Co-operation Council, a grouping which also includes Bahrain, Kuwait, Oman, Qatar and Saudi Arabia. From 2003 onwards, the six AGCC states negotiated to establish a customs union (apparently modelled on that of the EU), which was formally established on 1st January 2015. 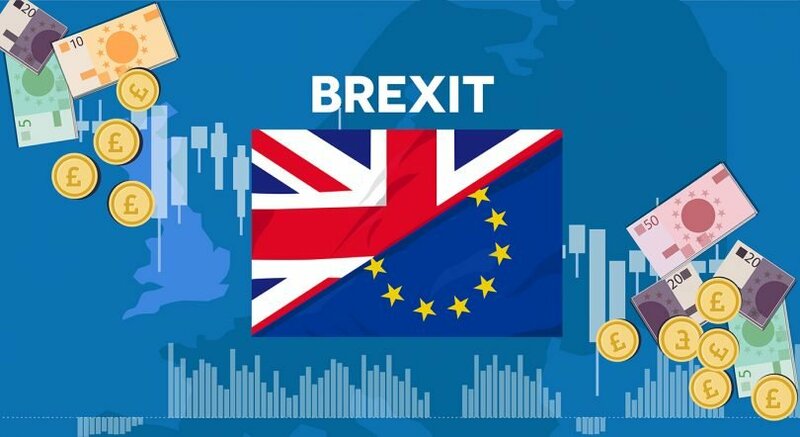 As in the EU, the member states of the customs union undertake to impose a common external tariff on imports from non-members (currently 5%), to permit free movement of goods within the customs union, and to share customs revenues according to an agreed formula. From 1961 to at least 2014, therefore, Dubai’s economic experience was essentially that of a sovereign state with an independent trade policy. However, the Emirate of Dubai does not have, and has never had, trade deals with any country or group of countries. Between 1965 and 2014, the annual value of Dubai’s recorded external non-oil trade increased from $123 million to $363 billion – that is, by a factor of nearly 3,000. This is possibly a growth in trade without parallel in any modern economy. The means and strategies by which Dubai accomplished this feat are beyond the scope of this article. In brief, they included an early and focussed investment in infrastructure, especially seaports and airports; a sustained and unqualified commitment to a liberal business climate; aggressive international promotion and marketing (from 1989 onwards); and not least, the development of a archipelago of free zones and free trade zones (analogous with the EU concept of a special economic zone), which for practical purposes were and are outside the regulatory environment of the UAE and the AGCC. The free zones today account for 40% of Dubai’s external non-oil trade. Parenthetically, the technology of “invisible borders” has been in use in Dubai since the 1980s. The free zones are separate Customs jurisdictions, but trucks and other vehicles pass in and out of them without let or hindrance. Electronic manifests are transmitted by RFID (radio frequency identification) to receivers at the free zone gates. So much for the claims, often repeated in the Brexit debate, that this technology does not exist. The parallels between Dubai’s historical experience and the trading potential of post-Brexit Britain are by no means precise. But Dubai has demonstrated that it is possible to multiply external trade volumes without any recourse to trade agreements. If “no-deal” emerges, by design or default, as the outcome of Brexit, Dubai’s experience might profitably be studied as a model for the economic success of the United Kingdom. 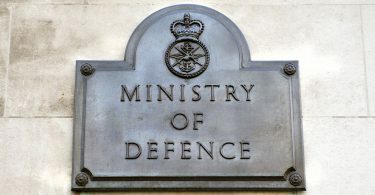 The Prime Minister is misleading the country on defence and security – A rebuttal of a Downing Street ‘reprimand’.